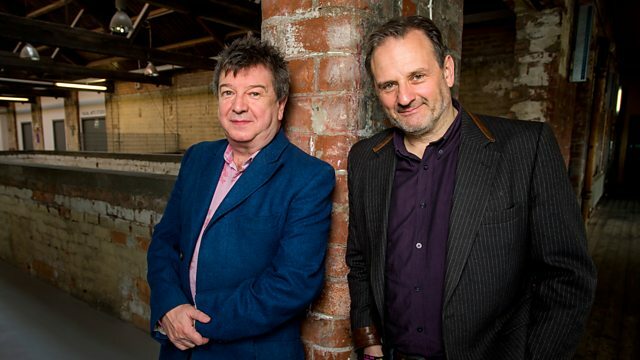 Mark Radcliffe and Stuart Maconie are joined by synth-popper extraordinaire John Foxx, plus they have regular features the Chain and Teatime Themetime. Mark and Stuart's guest today is synthpopper extraordinaire, John Foxx. He was the original singer in 80s new-wave band Ultravox, he's also pursued a parallel career in graphic design and education. He's said to have inspired Tubeway Army's Gary Numan, who in fact features on John's new album, alongside The Maths! As well as this, you can try and actually BE on the show by suggesting a track that's not yet been on long-running show feature The Chain OR pit your wits against the rest of the office/listening stronghold by trying to be first to guess the link between the three records in Teatime Themetime. Dunham Records / Daptone Records.